Oops is right. Guess I was in too much of a hurry yesterday to give some deets on the new J-O-B. Today is my last weekday of unemployment and I’m both excited and sad. I’m really ready to get to work, but after having all this time at home, I’m going to miss taking the puppies out for long adventures. And naps. And all-day pajama wearing. Another thing I’m REALLY going to have to work on now is meal planning. I’ll have to get back to sitting down each weekend and planning our upcoming wee’k dinners, and also prepping lunches and snacks for work. Which reminds me, I need to buy a lunchbox. Or lunch pail. Or whatever they’re called these days. Two words. Sound like Schmike Yuelmand. Guesses? If you guessed Nike Fuelband, you would be correct. The dang think broke AGAIN! Tyler got me the first one for Christmas, and by January it already busted. (Tip: Don’t plug it into the wall. It needs to be plugged into something with a time clock. The instructions don’t tell you that.) I called customer service and they were SUPER nice and sent me a replacement right away. This time, I pressed the button to see how many fuel points I earned and it said ‘Memory Low Sync’ so I plugged it into my computer and got an error message right away. Customer Service said it was a hardware issue that couldn’t be troubleshooted so they’re sending me yet ANOTHER band. NIKE customer service has been AWESOME. I honestly don’t mind speaking with them to have an issue resolved. HOWEVER>>>>I’m not a huge fan of the fact that I’m on my third band in 8 months. 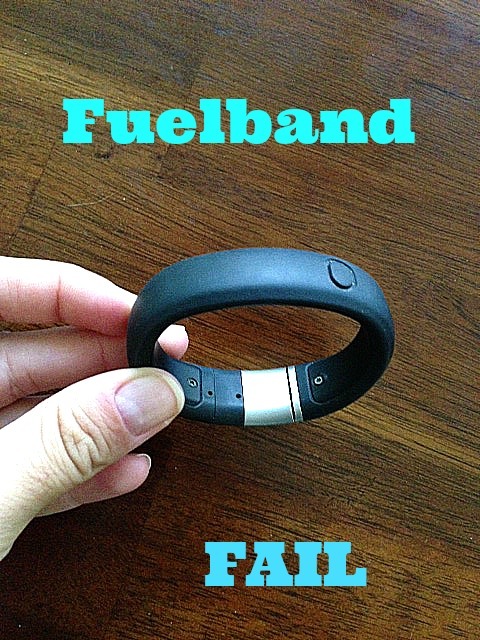 That said, anyone have suggestions on possible alternatives to the fuel band? I really do love tracking my activity and I love how simple this band is. I really don’t want to invest in something that’s $$$$$ or complicated to navigate. Yes, yes. This is what all that education prepared me for. Shopping. Shopping for clothes for the job which I acquired with the same education. Please go slice a tomato in half. 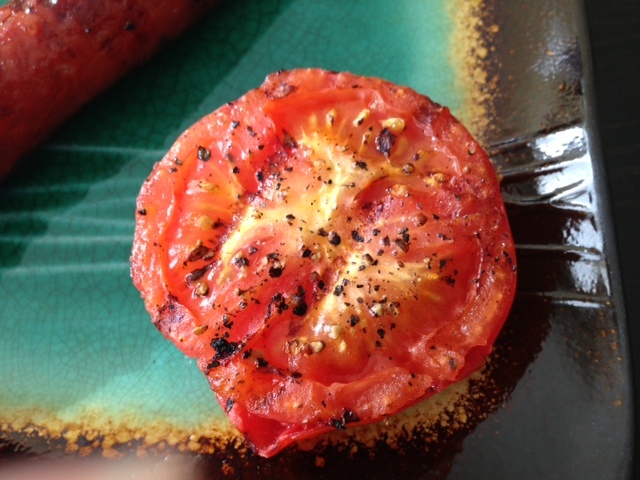 Drizzle with EVOO/S&P and slap that sucker on the grill. You’ve love it. And me for telling you about it. I want to try to reach 200 Like on my Facebook page. And if I do, I’ll be hosting a giveaway (I know, pretty crummy I’ve never hosted a giveaway before, but umm I’m not sponsored by any company nor did I have any money to personally send you anything anyways.) But since I got this jobbity job, I feel I could scrounge up a few pennies and send one lucky winner something pretty sweet- just not sure yet what it’ll be. So tell all your friends to go like my page so we can get this giveaway started. Yay for the new job! 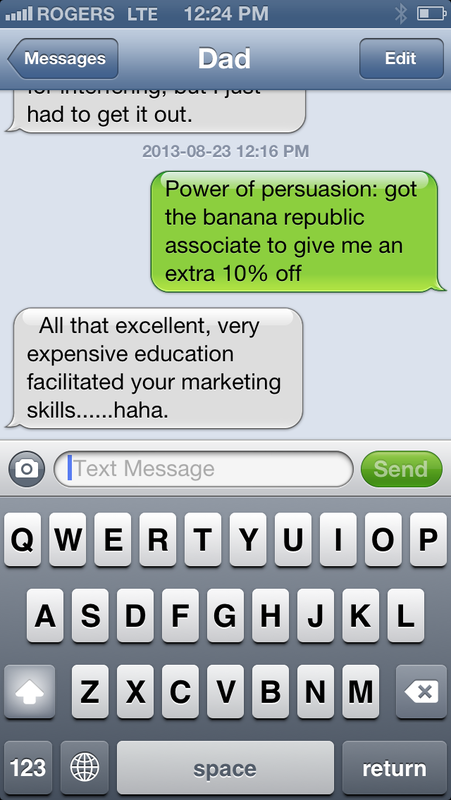 You are quite the power bargain shopper! I love the purple dress! I totally get that joke, but I am not on twitter… It’s like the blackberry Z or Zedd depending on what market you were in. the dresses were from Gap, but I got GREAT pants from BR. 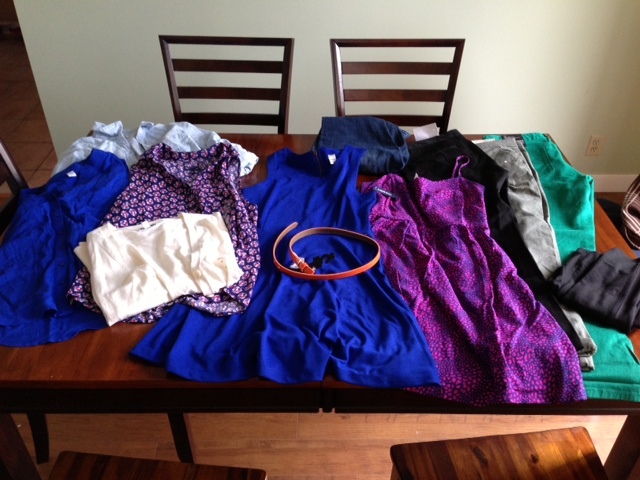 LOVE their outlet stores!! Looks like some super cute clothes you have there!